Vulture Capital has announced the launch of its VCAP cryptocurrency crowdsale to fund the upcoming feature film 'Listen Carefully'. Vulture Capital now hopes to aid mainstream adoption of cryptocurrencies by merging the technology with the film industry. New York, US , August 3, 2016	(Newswire.com) - ​​Vulture Capital, the cryptocurrency arm of Hedley Productions has recently announced the launch of its own Ethereum based VCAP cryptocurrency crowdsale. With this crowdsale, Vulture Capital is looking forward to produce the first feature film of its kind funded by cryptocurrency. With this crowdsale, Vulture Capital wants to showcase the huge potential of cryptocurrencies and crowdfunding to the world. VCAP crowdsale will not only help Hedley Productions raise the funds required to produce a feature film, but also spread awareness about digital currency among those who watch the movie as well. The industry has undergone lots of changes since the “golden years of film” when filmmakers used to enjoy the freedom to choose their projects and portray stories as they deemed fit. Today, the film industry has turned into a big business with lots of moving parts. Movies have to not only appeal to the audience but also satisfy all the stakeholders in the project, which includes advertisers, agencies, PR firms and others. Small budget movies are a thing of the past and without big budgets and funding from various stakeholders, it is impossible to produce films. But crowdfunding through cryptocurrencies can change it, as people will be able to decide what they would like to watch and contribute towards it. The contributions can come from any corner of the planet, almost instantly through digital currencies. Vulture Capital’s VCAP cryptocurrency was created by Obsidian CryptoVault Technologies, a New York-based cryptocurrency developer group. With VCAP crowdsale now live, the production company expects to raise at least a part of the estimated budget of about $3.5 million to $5 million, required to make the ‘Listen Carefully’ film a reality. The filming of ‘Listen Carefully’ is slated to begin in fall 2016, with the release set for the summer of 2017. Investors can buy VCAPs on the Vulture Capital website with Bitcoin or Ethereum. Upon release, the revenue generated from the film will go towards repaying VCAP token holders and other investors. Once all the stakeholders are compensated, any profits generated will be shared equally between the producers and VCAP holders. 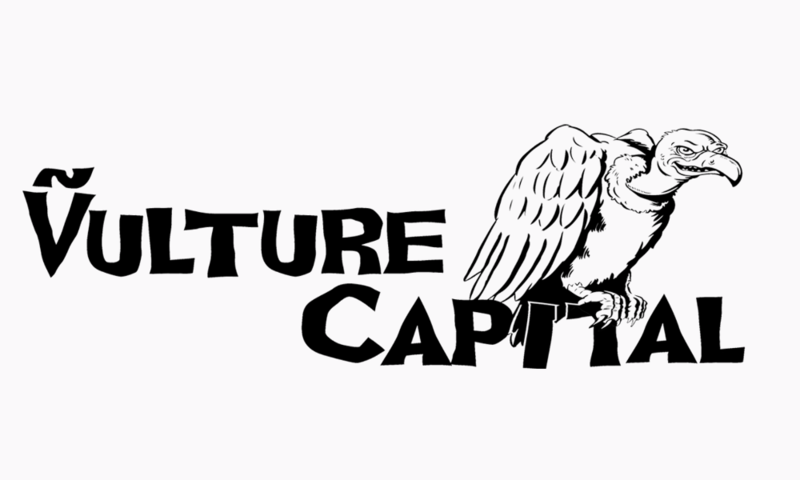 Vulture Capital will keep the whole process of fundraising, filming, release and performance transparent for the investors. The company will constantly update the progress on its website, social media and other industry websites listed on vulturecaps.com. Vulture Capital is a cryptocurrency token used by Hedley Productions. The VCAP is built upon Ethereum and it is being used to raise funds for the company’s upcoming project ‘Listen Carefully’ through the ongoing crowdsale. Vulture Capital is the source of this content. Virtual currency is not legal tender, is not backed by the government, and accounts and value balances are not subject to FDIC and other consumer protections. This press release is for informational purposes only. Scalable dApp creation platform Squeezer.io will help software developers integrate decentralized apps into already established business infrastructures. UK-based crypto exchange platform Buzzex has just announced the start of trading on its platform, alongside many developments, competitions, and programs.